We turn your projects into fact – emotionally and tangibly. Event Partners is an owner-managed communications agency that stands for close proximity, clear communications and direct contacts. We know how to keep an eye on the big picture. Our customers’ perceptions are very important to us and we feel constantly challenged to implement the task and make it tangible with the greatest possible emotionality. It is our passion that drives us to do what we are best at. Simply touching all the senses. Our tools are two decades of experience of agency work, a sure sense of what matters and a big dose of passion. – the strategic implementer on site. We avail ourselves of a network that we simply call partnership. 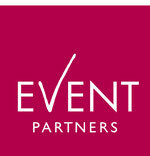 Event Partners chooses to work with service providers that are true specialists in their field. With a secure position on the market, the latest live communications channels and honest value for money. All of which guarantees a smoothly running and successful project.